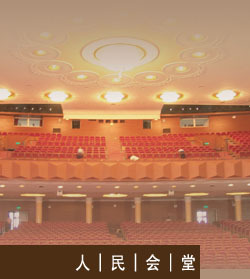 Qingdao People's Auditorium is located on No. 9 Taiping Road .The auditorium project started in May 1959 and was finished on May 30, 1960. 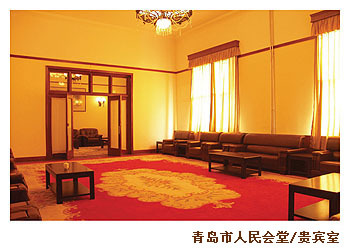 It covers an area of 18 thousand sq meters and the architectural acreage is 12 thousand sq meters. 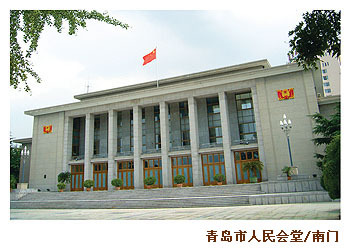 The magnificent auditorium is built in the style of Beijing People's Auditorium. 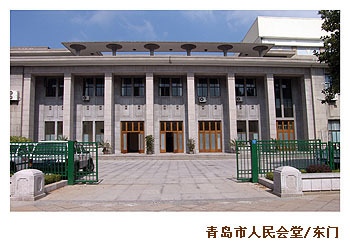 It is the largest performing place with best equipments and listed as "Excellent Historical Building" by Qingdao Municipal Government in 2003. Situated in the famous coastal beauty spot of Qingdao, Qingdao People's Auditorium fronts Zhanqiao and Xiao Qingdao with a lighthouse. Surrounded by green pine trees, the auditorium combines beautiful scenery and graceful decoration and is the best place for arts performances, exhibitions and commercial conferences. 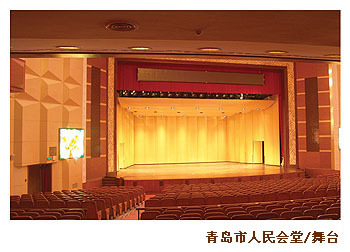 An investment of RMB 30 million has been put into the reconstruction of Qingdao People's Auditorium for the coming China International Violin Competition. 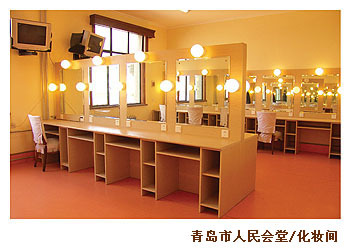 The newly rebuilt auditorium consists of 1,450 comfortable seats, 8 dressing-rooms, 2 cloakrooms and 2 practice rooms. Equipped with 37 electronic booms which are computer numerically-controlled, the new stage is 16 meters in width, 9 meters high and 18 meters long. The two supplementary stages cover an area of 290 sq meters. 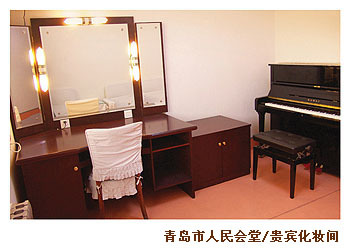 In addition, a practice room with constant temperature and humidity is especially arranged for the Steinway piano. 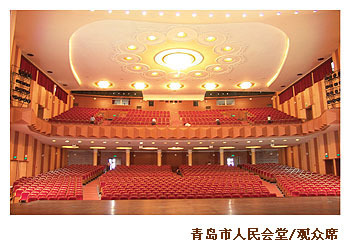 The auditorium is equipped with modern facilities such as LED, central air-conditioner, top-ranking acoustic shell, sound control room and light control room which are computer numerically-controlled. 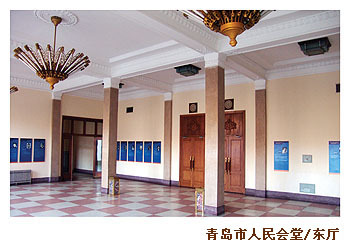 Many important conferences both from home and abroad have been held in Qingdao People's Auditorium. Artistic groups from more than 50 countries have come here to put on performances with various styles.